It's by far the best small phone money can buy. Smaller smartphones have fallen out of fashion. 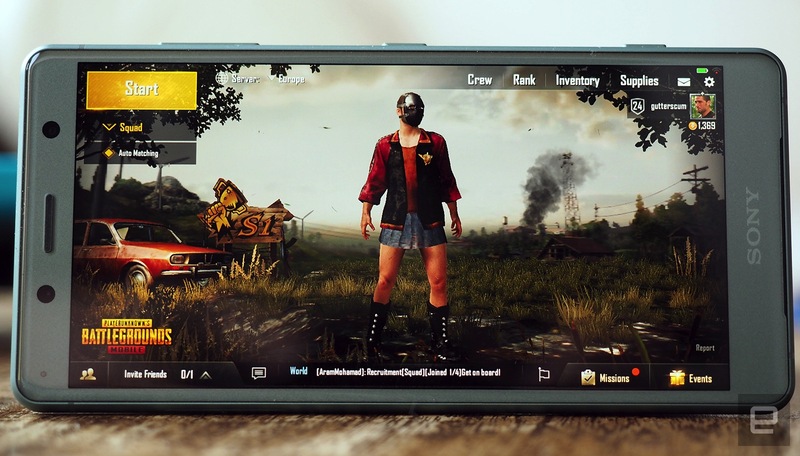 We now primarily use our handsets for browsing the web, gaming and every other form of entertainment, making a larger screen more desirable in many cases. But this means those looking for a smaller, more pocket-friendly device aren't spoiled for choice -- far from it. But for whatever reason, Sony hasn't paid much attention to this industry trend and continues to make devices for this neglected demographic. The latest of these is the new Xperia XZ2 Compact that's launching alongside the bigger flagship XZ2. In recent history, some of Sony's Compacts have felt like an afterthought -- not only smaller but also much lesser devices. Not this time though. The XZ2 Compact is a flagship in its own right, and one of the best Android phones around. The Xperia XZ2 Compact is a high-end flagship in a petite form factor. Sony’s made several compromises on its smaller phones in the past, but not this time. You get all the power and important features of the bigger XZ2 in a cute, bijou body. 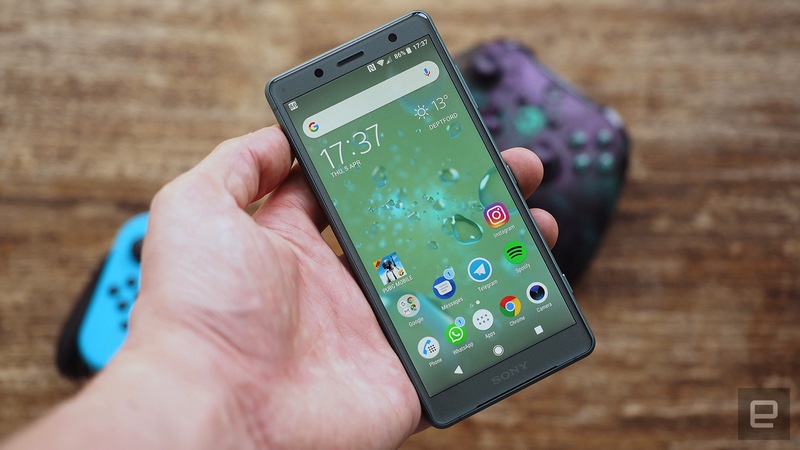 Be the first to review the Xperia XZ2 Compact? If you haven't seen anything of the XZ2 or XZ2 Compact, the fact that Sony's ditched its OmniBalance design language will be news to you. This distinctive blend of straight lines and hard edges has been Sony's signature for five years now. Its new devices, however, swap those square corners and flat backs for a softer, more shapely look. It may result in something more generic than what you're used to seeing from Sony, but there's no need to mourn the death of OmniBalance. There's a reason most manufacturers favor curves to sharp corners: ergonomics. A rounded shape feels more comfortable in the hand, and that's particularly relevant to the XZ2 Compact. The Compact is small enough that you really wrap your paws around it. In the past I've commented on how Sony phones have felt sharp, with a tendency to dig into your hand at the contact points. Sony's new, curvier look has most certainly corrected that. 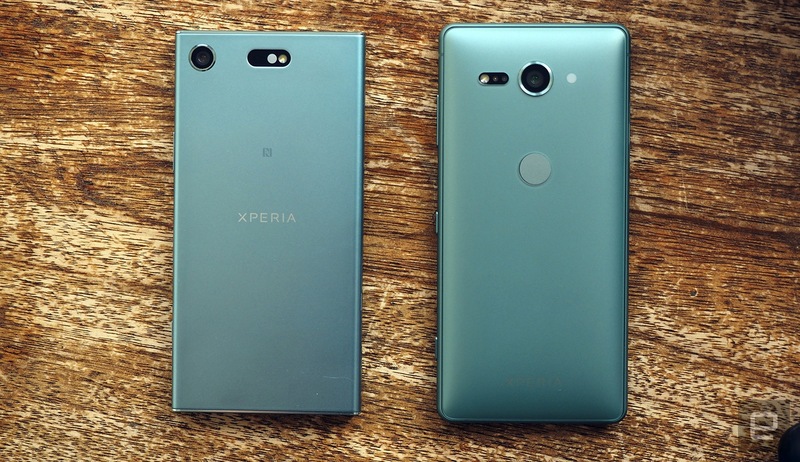 Though the XZ2 and Compact share Sony's new approach to design, in many ways they're quite different. 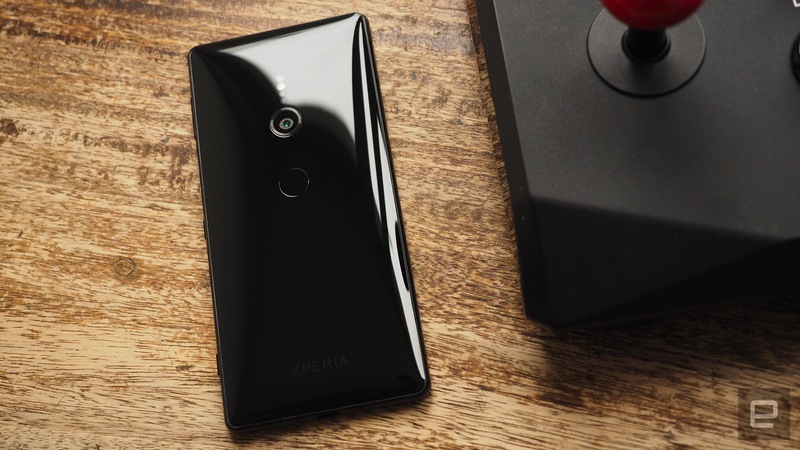 Where the XZ2 is clad almost entirely in glass, giving it a lovely glossy appearance, the Compact is a mostly plastic affair. It's obviously a much cheaper material, but the Compact has a charm of its own. The slightly curved back and chunky plastic border are translucent. They play with light, making the Compact look multi-tonal rather than monochromatic. Depending on your region, you'll be able to find it in classic black and silver as well as more-exotic pastel green and pink shades. 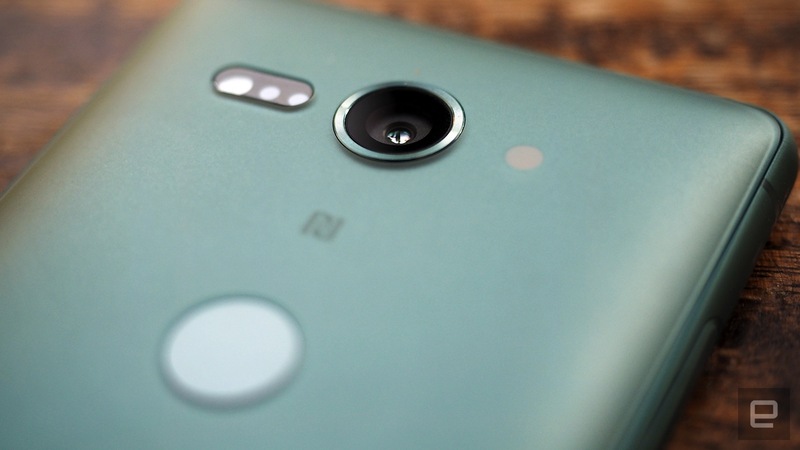 The Compact is naturally much smaller than the XZ2, at least with regard to its 2D footprint. It's significantly thicker than the larger flagship on account of Sony having to cram many of the same components into a tighter frame. The chunkiness is cute, though, exemplifying the robust build quality common to Sony devices. Before I actually laid eyes on the new Compact, I was surprised to see a five-inch screen listed on the spec sheet. How big can you make a smartphone before the "Compact" descriptor no longer applies? For reference, the XZ1 Compact launched last fall had a 4.6-inch display, so this isn't a trivial increase. As it turns out, the XZ2 Compact is physically no bigger than its predecessor. If anything it feels smaller, because Sony's rounded off the square corners this time around. There's now less bezel framing the display, but it was Sony's choice of panel that was key to keeping the device diminutive. The screen's 18:9 aspect ratio means this particular five-incher is taller and narrower than a standard 16:9 display would be. To change the screen size without bloating the body keeps the phone in the Compact sweet spot, making it easy to use one-handed. On the bigger XZ2, I found that the fingerprint sensor mounted on the back panel was a bit too low, and not where your fingertip naturally rests when you pick it up. The same problem applies here, not due to placement but size. The Compact is much easier to control with just the one hand, though, so craning your finger to touch the reader isn't nearly as awkward. Sony's Compacts have always promised flagship-grade components in a smaller form factor, but not without compromises, mainly on the display front. Last year's XZ1 Compact, for example, carried a 720p panel, which is something you'd expect to see on a lower-end Motorola, not an expensive, high-end Sony. And yet on the XZ2 Compact, the script's been flipped. The screen is actually better than that of the XZ2 proper. You're looking at the same full HD+ resolution crammed into a much smaller space. In that sense, you're not expected to sacrifice pixels for size. It's incredibly sharp and detailed as a result. The display tech is the same -- an HDR LCD panel -- but for whatever reason blacks are notably deeper on the Compact and colors just as vibrant as on the XZ2. It reflects less glare in bright sunlight too. Just as on the XZ2, Sony's X-Reality magic is constantly plugging away in the background, "upconverting" standard YouTube videos and other media to HDR. This adds extra contrast and texture to content that would've otherwise looked slightly flatter on the Compact's HDR display. This ties into the whole theme of the new XZ2 Compact: all the flagship features, no notable compromises. Sony is currently able to claim bragging rights on a few shooting modes you don't get elsewhere. They might be special from a technical perspective, but they're not relevant to the end user. One of these is 1080p super-slow-mo video. Last year, Sony's XZ Premium introduced us to 960 fps clips shot at 720p, though you can only capture them in 0.2-second bursts. But Samsung's Galaxy S9 and Huawei's P20 Pro can do that now too, so Sony's upped the resolution stakes. The trade-off at 1080p is that the slow-mo window has been halved to 0.1 seconds. Don't get me wrong, the feature is cool, but you have to predict what you want to shoot before it happens or you'll miss it -- a bird taking flight, for example. Timing it correctly is like winning the lottery. You can play as much as you want, but you're unlikely to be successful. Shooting at 1080p instead of 720p is like halving your odds, which are already slim. The second unique feature is being able to record 4K HDR video. Again, it sounds cool, but remember you need an HDR TV or monitor to play your movies to get the full benefit. And I can't see any benefit to HDR in this scenario. On the XZ2, the clips I captured were horribly overexposed. These were shot on a sunny day, which is important. Filming the same landscape on an overcast day on the XZ2 Compact resulted in the opposite: dark, underexposed clips. The feature seems to take the dominant characteristic of the scene, light or shadow, and accentuate it massively. 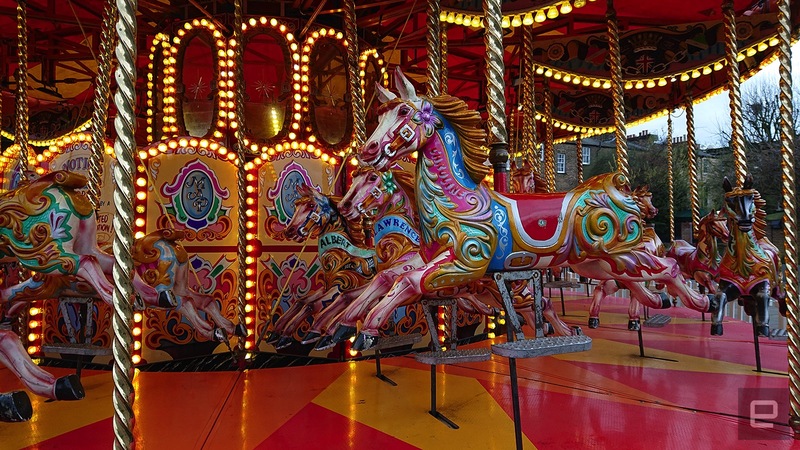 Regular 4K clips are much prettier and reliably lit, making the HDR toggle something to avoid. The front-facer is a serviceable, if slightly underwhelming 5-megapixel camera. It depends on how often you imagine using it as to whether this is important or not, as you might understandably expect more from what's effectively a brand-new flagship. It does work with Sony's 3D creator app, though, if you're into rudimentary 3D scans of your face. User experience is where the XZ2 Compact shines. It has all the top-tier guts of the XZ2 -- including, most importantly, Qualcomm's Snapdragon 845 chip. It's the Rolls Royce of smartphone processors. Whatever games you prefer, they'll play at the highest graphics settings without skipping a beat. Apps, meanwhile, load up straight away and run smoothly. It's what you wish every phone you'd had before it was like. I found the XZ1 Compact to be frustrating to use, with apps constantly crashing, weird hangs and such. This new little powerhouse is very much a return to form. Perhaps Android 8.0 Oreo has something to do with that, though Sony's slapped its Xperia skin with extra visual customization features on top. But other than a bit of bloatware and a couple of duplicative apps, it's not far off the stock experience. The Compact's battery is a bit smaller than the XZ2's. There's only so much space in that little frame, you see. It still has to power just as many pixels, though, so you'd think battery life might be different across devices, but it's not. In fact, I found that the Compact went a little bit further, draining slightly less charge per round of PUBG Mobile, YouTube session, etc. The contrast isn't stark, and if you're constantly on your phone you'll have to plug it in before the day's out. In other words, battery life is nothing special but also fairly typical. There are two ways you can look at the XZ2 Compact: either as a flagship or as a rare breed of small smartphone. 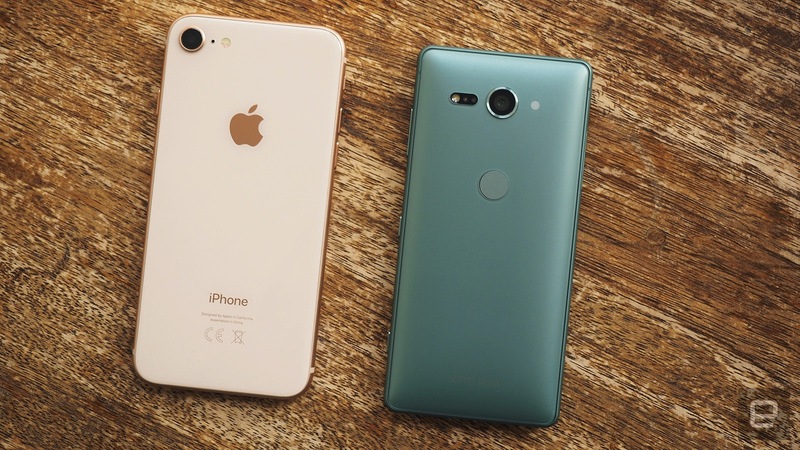 If you think of it as the former, then its main rivals are its bigger brother, the XZ2, and Samsung's Galaxy S9 and S9 Plus. I say that because these are the only phones on the market with a Snapdragon 845 chip at the moment. I wouldn't spend my money on anything less at this stage, being seriously impressed with the power of Qualcomm's latest processor. 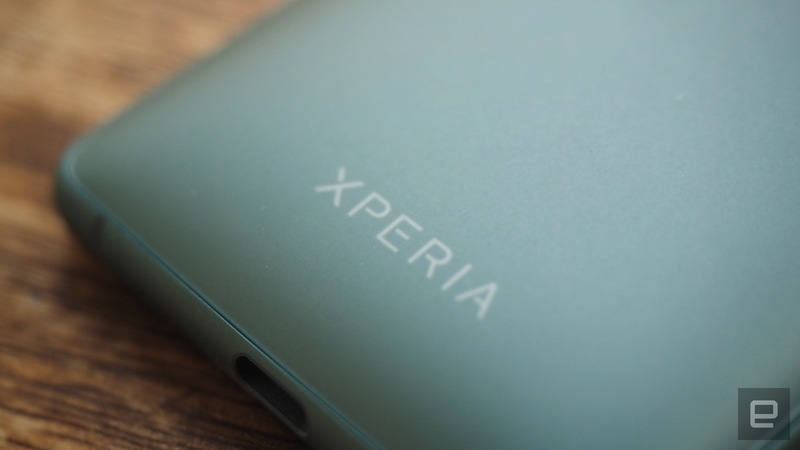 The XZ2 Compact launches in the UK on April 6th for £549, and unfortunately we're still in the dark as to US pricing and availability. I'd guess it will retail for around $650 when it eventually arrives stateside, making it significantly cheaper than its rivals. 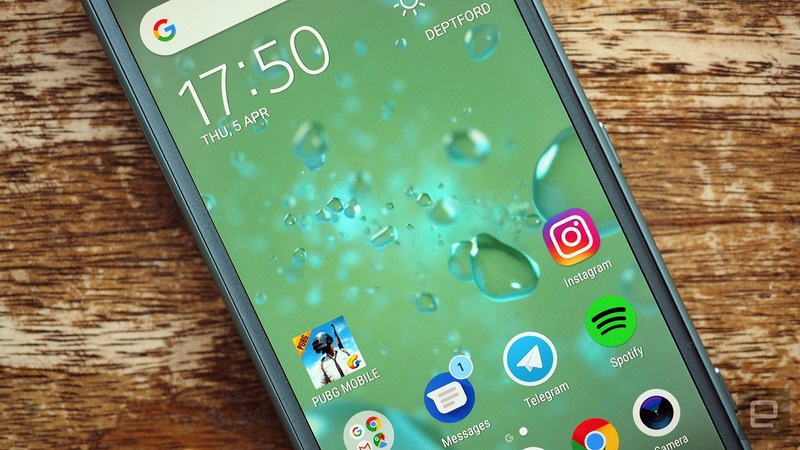 The XZ2 costs £699 in the UK, so it's a pretty significant savings you're making it you go down the Compact route. The gulf is even wider between the Compact and Samsung's newest phones, which start at £739. If price is important, then the Compact wins out. If size is important, the Compact also wins out. The whole point of the Compact is to serve the underserved. There isn't anything quite like it. The iPhone SE is small, but that hasn't been updated in two years. The Nokia 1 and 2 are small, but they are affordable entry-level devices with spec sheets the Compact laughs at. The iPhone 8 and Pixel 2 are both 5-inch devices, so they're in the mix. The displays on these phones are of the 16:9 variety, though, so both are much bigger than the XZ2 Compact, not to mention offer lower resolutions at substantially higher prices.